I read this article and found it very interesting, thought it might be something for you. 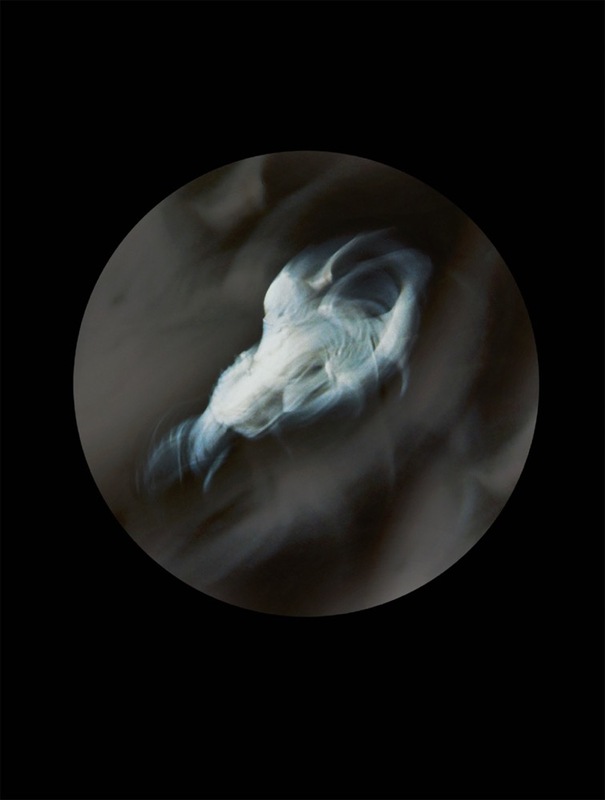 The article is called In The Frame: Beyond Drifting – Mandy Barker and is located at https://www.totallydublin.ie/more/in-the-frame-beyond-drifting-mandy-barker/. Plankton form a diverse group of microscopic marine organisms living in the water column. Not able to swim against the current, they exist in a drifting, floating state. In this series, unique ‘specimens’ of this animal species relate to the pioneering discoveries made by John Vaughan Thompson in Cobh harbour during the 1800’s. Presented as microscopic samples, objects of marine plastic debris, recovered from the same location, mimic Thompson’s early scientific discoveries of plankton. 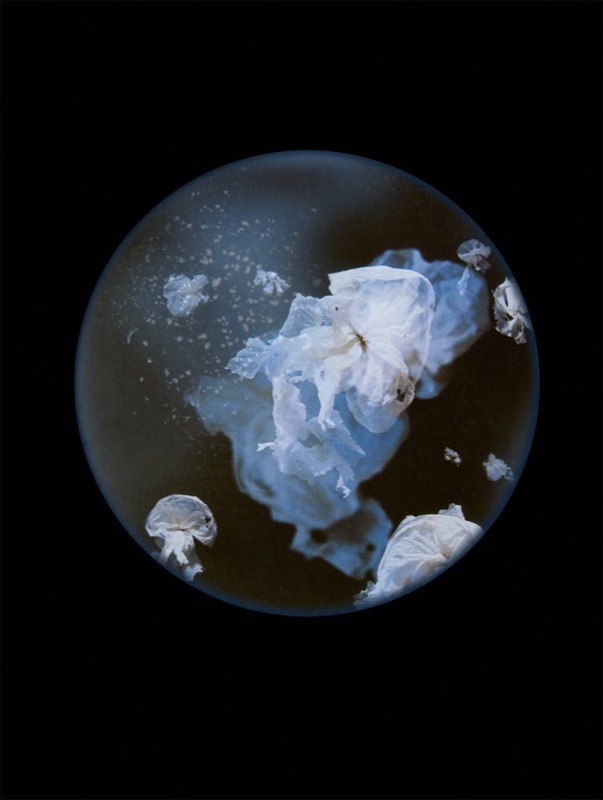 The work represents the degradation and contamination of plastic particles in the natural environment, by creating the perception of past scientific studies, when organisms were free from plastic. Enveloping black space evokes the deep oceans beneath. Presenting new ‘specimens’ created from recovered debris, serves as a metaphor to the ubiquity of plastic and the anthropocene, encapsulating in miniature the much larger problem of an imperfect world. 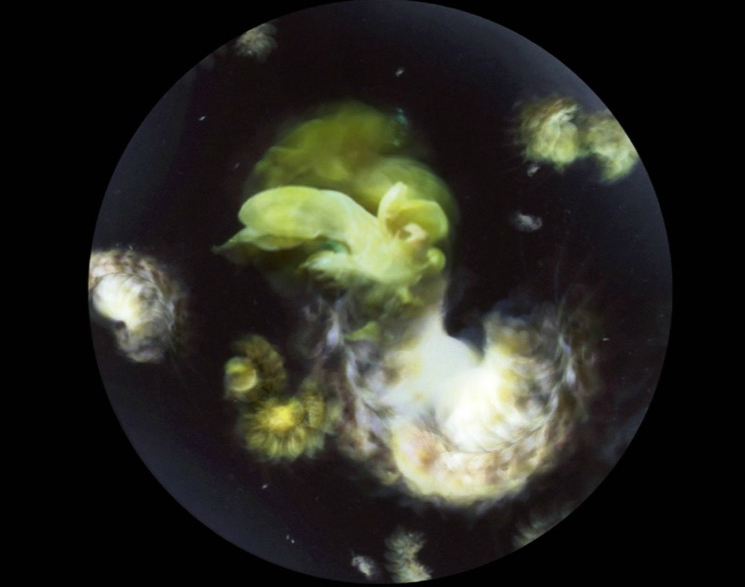 Movements of the recovered plastic objects, recorded in camera over several seconds, represent the movement of individual plankton in the water column, which also parallels with the planets that have an apparent motion of their own. Captured on expired film and with faulty cameras, it highlights the ‘imperfection’ in both technique and of subject matter. 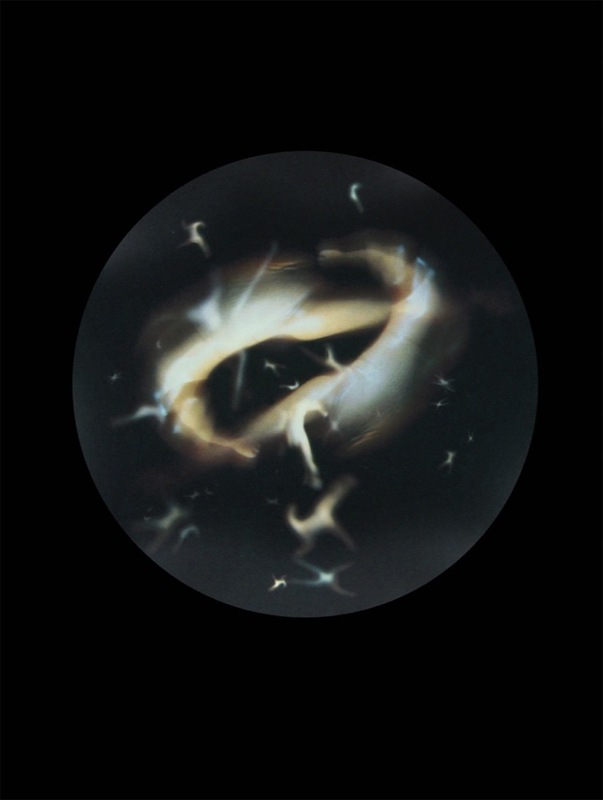 Film grain has intentionally been made visible, as a metaphor to the micro plastic particles being ingested. Nomenclature is the description given to devising new scientific names, of which each specimen has been given, imitating early latin origins; each name contains the word ‘plastic’ hidden within its title. Current scientific research has found that plankton ingest micro plastic particles, mistaking them for food, and at the bottom of the food chain they are themselves a crucial source of food for many of the larger creatures. The potential impact on marine life and ultimately man itself is currently of vital concern. In terms of plankton, and of action, we are ‘Beyond Drifting’, and must bring into focus these ‘Imperfectly Known Animals’. The series of work is presented as an old science book from 1800’s, that as well as reflecting the current situation regarding organisms’ intake of plastic, also subtly includes the original writing, descriptions, and figures recorded by Thompson in his research memoirs of 1830, entitled, Imperfectly Known Animals. The book uniquely captures our changing times along with both past and present research. Beyond Drifting was shortlisted for the Prix Pictet Award Space 2017 and can be viewed in the Gallery of Photography until Sunday January 20th.